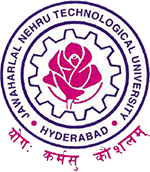 JNTU Hyderabad University Released The Results for the Years of JNTUH MBA/MCA 1,2,3,4,5 Semester Reg/Supply Results 2014 . All Exam Results of JNTUH MBA & MCA For the years of JNTUH MBA 1,2,3,4 semesters of (R13,R09,R07) and JNTUH MCA of 1,2,3,4,5 Semester Results for R13,R09,R06. I want to check my mba2 sem revaluation results 2014 (r13)how to get this? I want to check my mba 1-1 results 2013 (R13 ).How to get this?